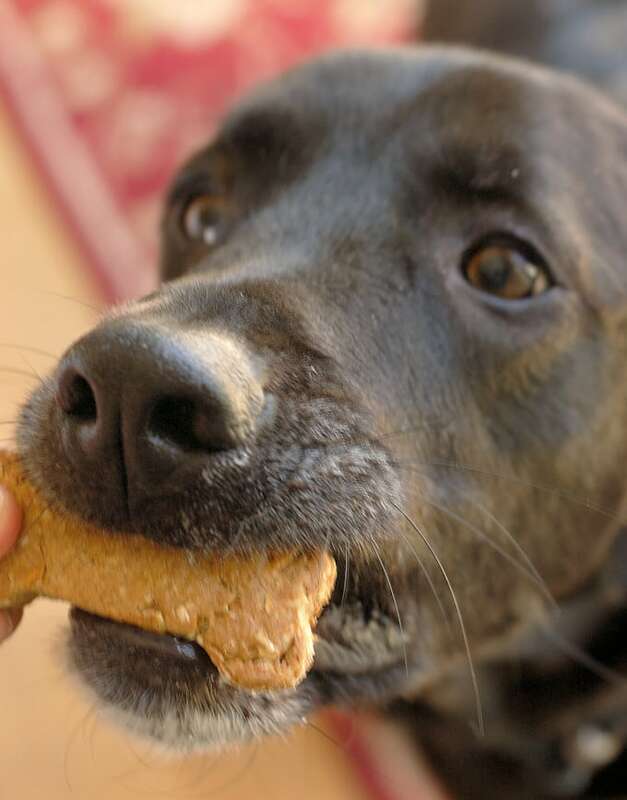 Make healthy, homemade dog biscuits for your best friend. This is a super easy and very adaptable recipe. 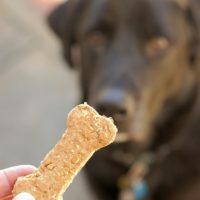 These treats are named after our first dog, my dear Cooky! So, yea, there’s really not much to say about this recipe. 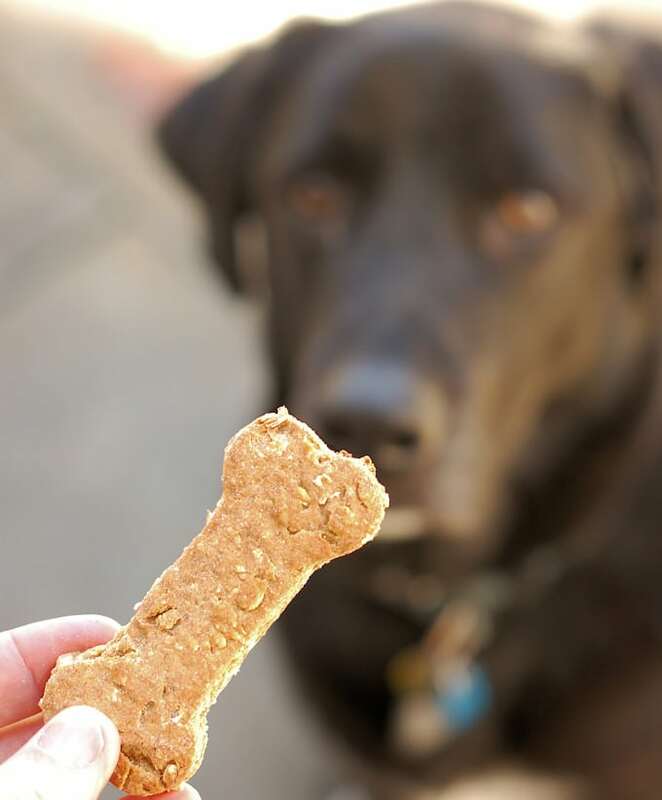 I mean, these are dog biscuits and I don’t know about your dogs, but my dogs don’t exactly have a discerning palate. Some of the things I’ve seen them eat, yuck! 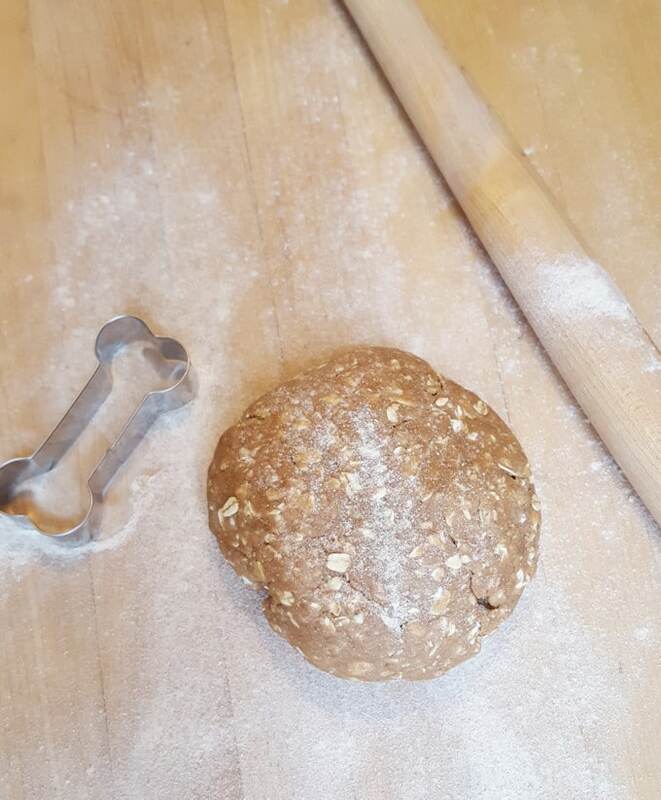 Even though no one really needs to make dog biscuits at home, this is a fun project, especially if you have kids in the house. The dough comes together very quickly and is endlessly adaptable. I made the biscuits using applesauce and peanut butter with oats and whole wheat flour. 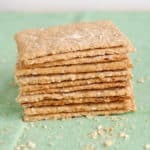 They are actually very healthy with whole grain, minimal fat, healthy protein from the peanut butter and fiber from the applesauce. I used applesauce because I just made a big batch the other day. You could use pretty much any fruit or vegetable puree in place of the applesauce, and any nut butter in place of the peanut butter. Add bacon if you’ve got some left over, or some shredded cheese. Just make sure whatever ingredient you add is OK for dogs to eat. No chocolate, onions, garlic, raisins or grapes! This dough is fairly dry because I wanted the biscuits to bake up very crunchy. 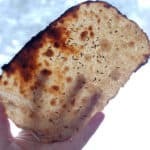 You could make the dough a bit moister by adding more applesauce or another wet ingredient if you want softer biscuits. Also, the longer you bake them, the crunchier they’ll be. Apparently I didn’t even need to bake the biscuits. 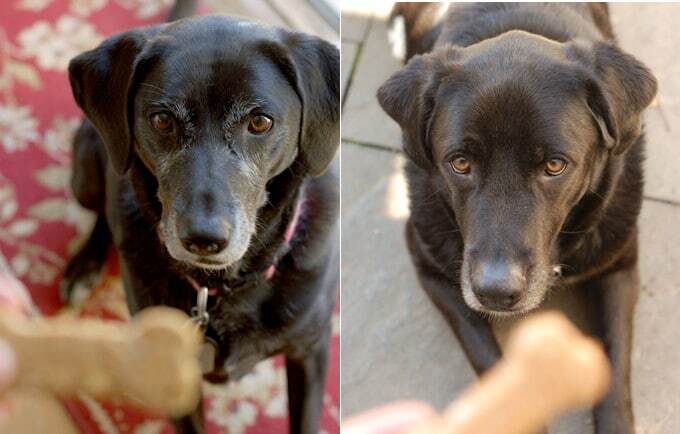 Like me, my dogs like cookie dough! Awww, look at them pretending to be good dogs! 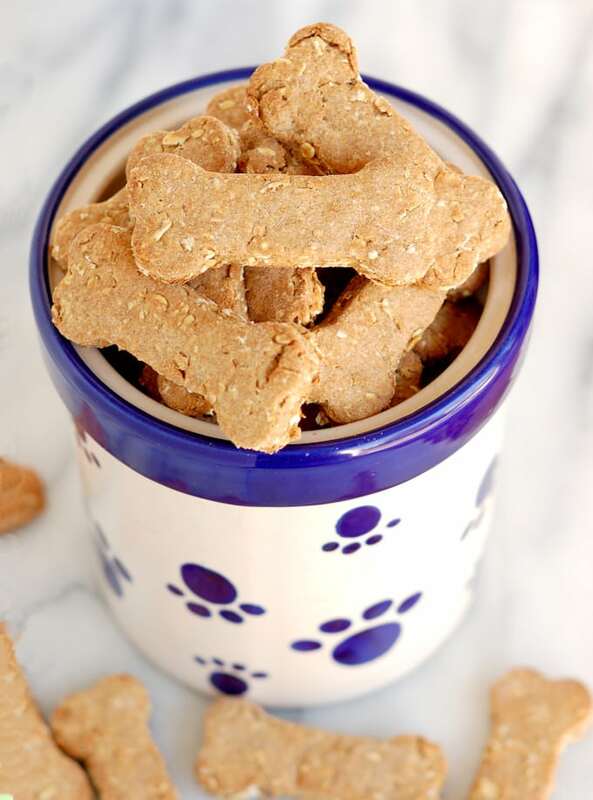 Healthy treats for your best friend made with peanut butter, applesauce, oats and whole grain flour. In a mixer bowl combine apple sauce and peanut butter until smooth. Add the egg and mix to combine. Add the baking powder, oats and 1 cup whole wheat flour. Turn the dough onto a lightly floured surface. Knead in the remaining whole wheat flour until it forms a smooth dough. Roll the dough to 1/4 inch thick. Using cookie cutters, cut out desired shapes and place onto the prepared baking sheet. Bake until crisp and lightly golden brown - about 15-20 minutes. Let cool completely if your dog will let you wait that long. The exact number of biscuits will depend on the size and shape of the cutter you use. 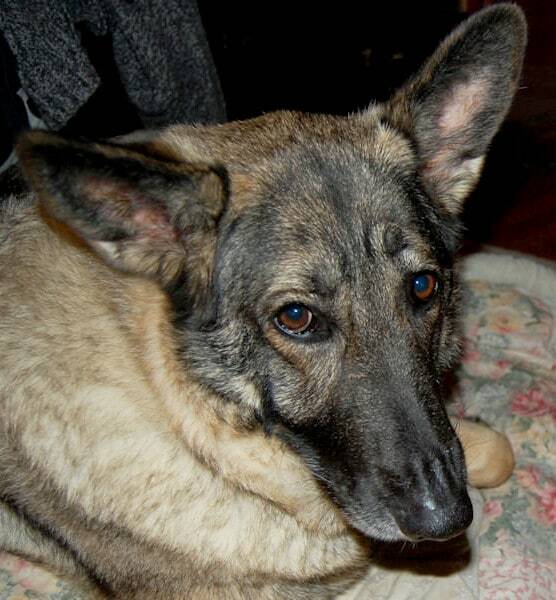 Cooky, our dear first dog! 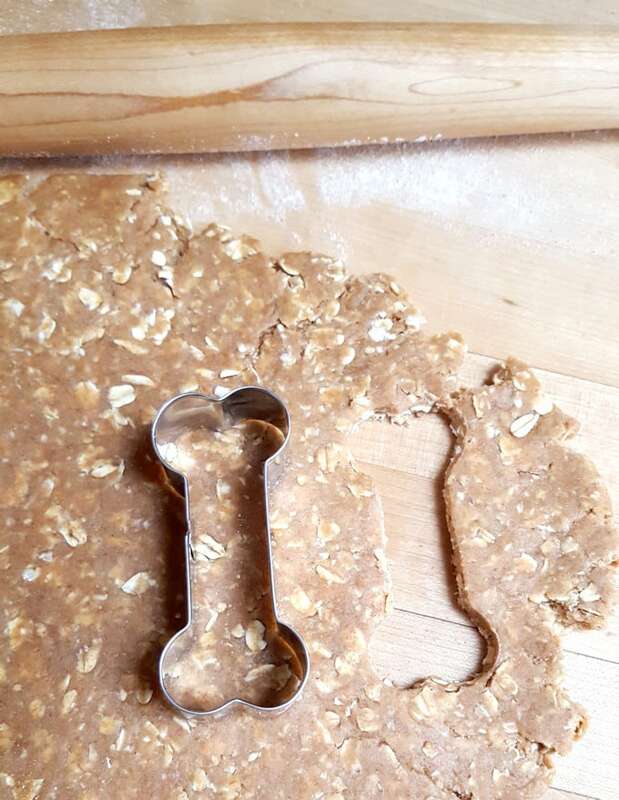 Aawww your dogs look so sweet, I bet they love these……. We don’t have a dog, but sometimes we babysit my step daughter’s dog. And whenever she is with us I bake cookies with a recipe similar to this one. She loves them! Your dog seems to love them too! 🙂 Beautiful! They did love them, but, again, they’ll pretty much eat anything. And I mean ANYTHING! These look fabulous! You dogs are so lucky to be able to enjoy these. The pictures of them eating the cookie dough are priceless! Thanks for sharing! Thanks, Alyssa. They enjoyed them. They’re all gone already. That’s great Monica! I hope your Cookie likes the cookies! d’awwwwwww. My two little pugs are gonna flip! Thanks. 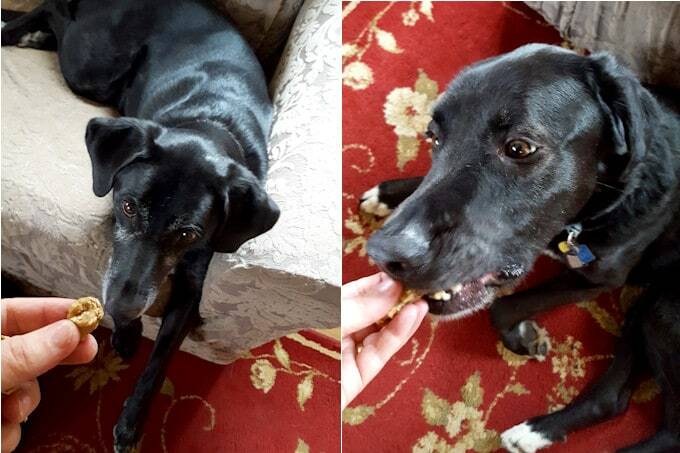 My dogs loved them – gobbled them up in just a few days. My dogs love these!! I have a boxer and a boxer mix. They were actually excited when they figured out I made them. It was funny. 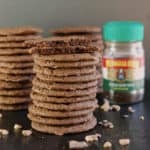 I’ve made them for friends and so far big or small they all go crazy for these cookies. My dogs love them too, thanks Jeanele!